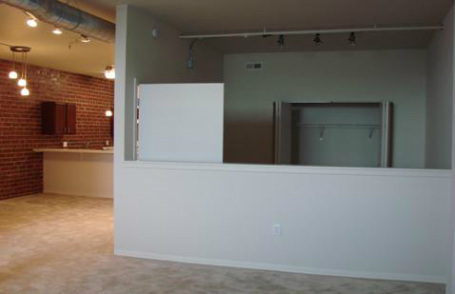 Voss Brothers Lofts represents a $5.5 million investment resulting in yet another spectacular downtown living experience. GROWTH took this formerly vacant warehouse and turned it into creative mixed-use space with mixed-income loft apartments. Located on the eastern edge of downtown, this project has served as a catalyst for other developments within the two-block area. 3-bedroom. 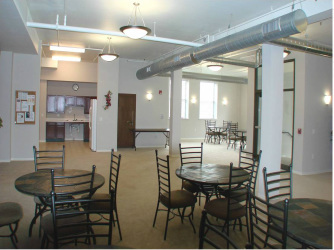 Residents have access to on-site amenities including a community room, fitness center, and computer room. 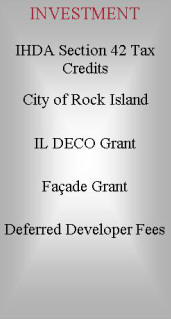 The first floor of the site houses the offices of the Rock Island Housing Authority. Interesting Fact: The development is named after the two Voss brothers who created the warehouse in 1924. 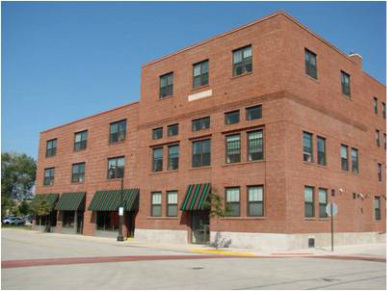 Above: Before photo of Voss Brothers Lofts. Below: Interior photos of spacious kitchen and bedroom. 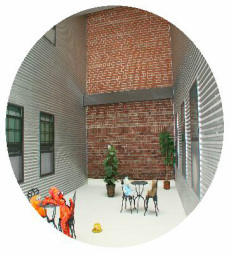 Bottom Left: Unique, enclosed patio space and community room available to residential tenants.